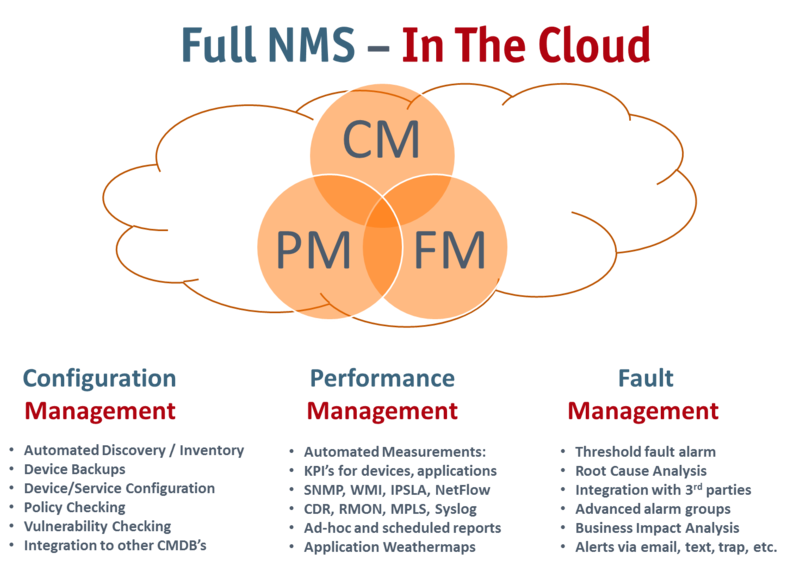 NMSaaS isn’t just another network monitoring tool; it’s an entirely new approach to IT management. For many years, network managers and IT directors have had to choose between two bad options, either pay a lot of money for a huge legacy system by one of the “big guys”, or try to make a less costly (but also less scalable and robust) product work. We think there’s a better way! Advanced Solutions. Simple Deployment. Enterprise Scalability. Flexible Licensing. Fanatical Support. For years implementing an IT management solution has meant making a choice between two bad options. You could spend a large sum of money (and time) on one of the major enterprise management vendors only to see the cost of owning that solution skyrocket due to huge outlays in professional services and maintenance and so on. With the added non-benefit of usually never fully implementing all of the features you were promised. Or, you could try to “make due” with less robust and less scalable products. Potentially turning to unsupported open source systems to fill in the gaps. There is. With NMSaaS IT and Network managers can now rapidly deploy a fully supported enterprise class solution without the huge expense of the typically solutions. With just 1 simple installation of our on-premise agent, you can be up and running in minutes. 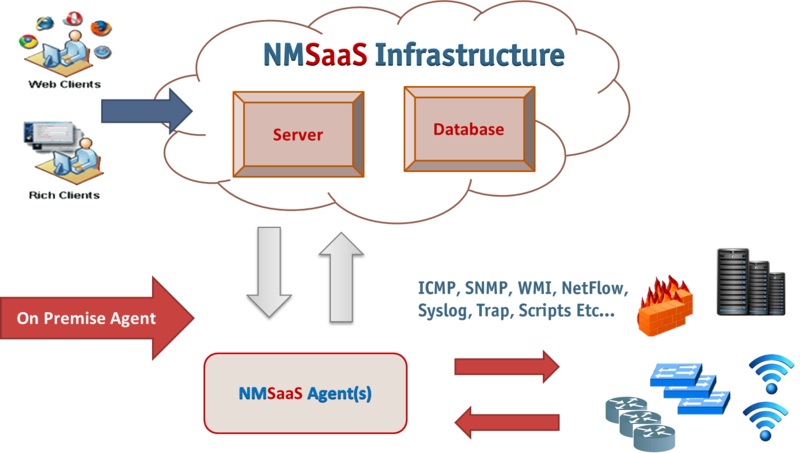 Better yet, NMSaaS takes away all of the pain related to maintaining the system. Because we are a cloud based solution, we take care of provisioning, installing and upgrading all of the infrastructure components of the system. You just focus on managing your IT systems and we do the rest. Not ready to try is out? No problem, click here to learn more about our solution and how we can help you get the most out of your IT management Solutions.